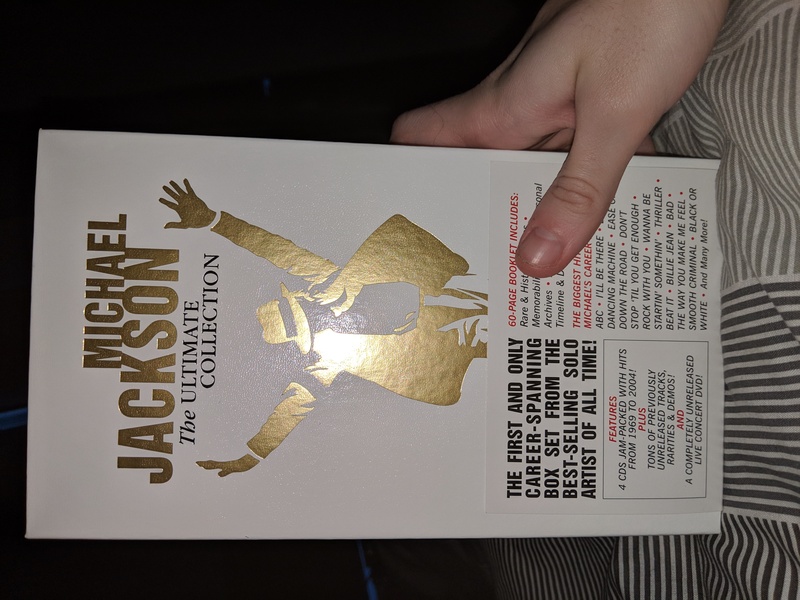 After a long neglect, I got The Jacksons first album on cassette. First pressing. Christmas day I am getting Scream... I did not use my money so I don't feel that bad. I got a t-shirt with the Bad album cover on it. Picked up the Bad SE in a charity shop recently, with the card slip case (My original got badly damaged by a spillage) and was also gifted the remix suit album on CD.